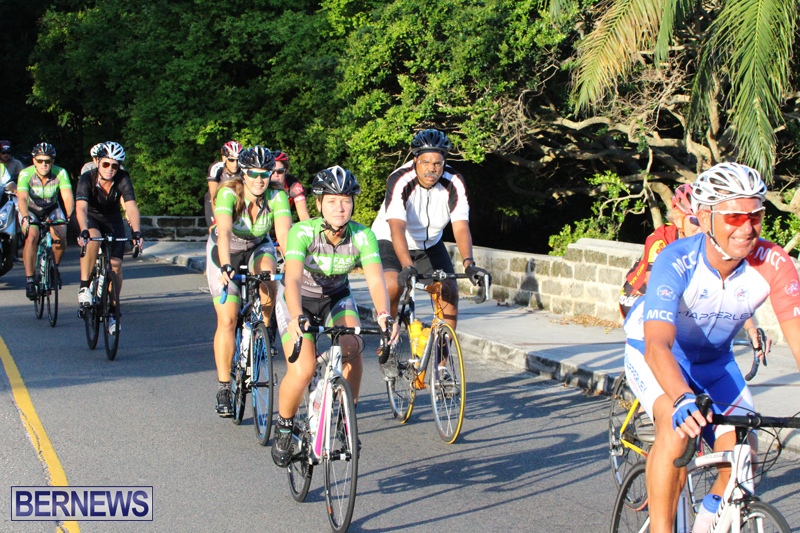 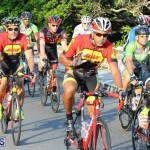 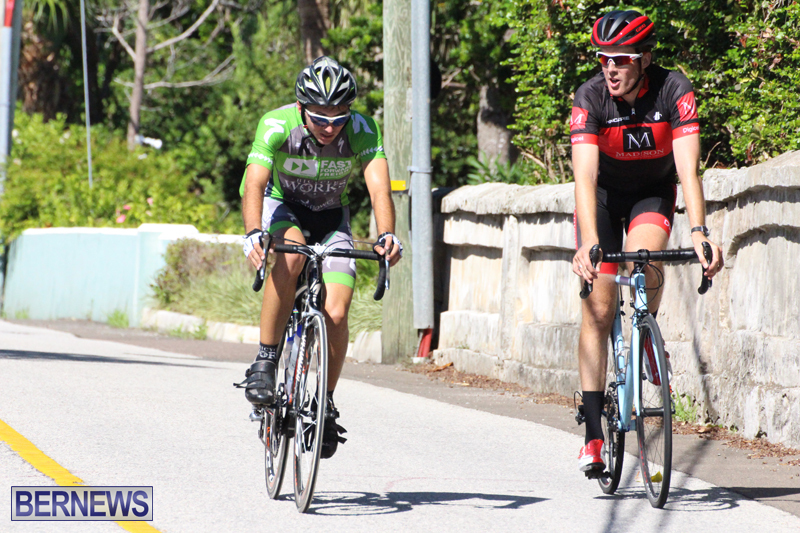 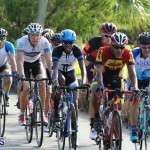 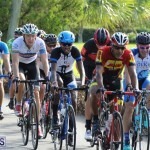 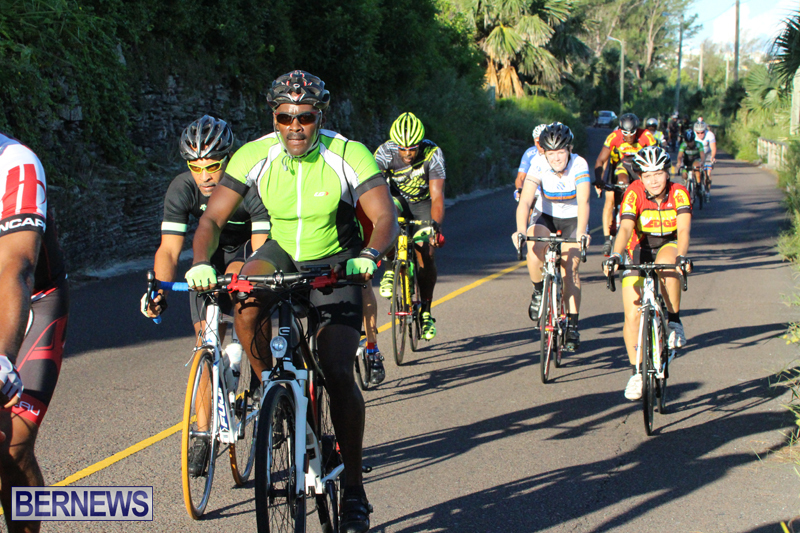 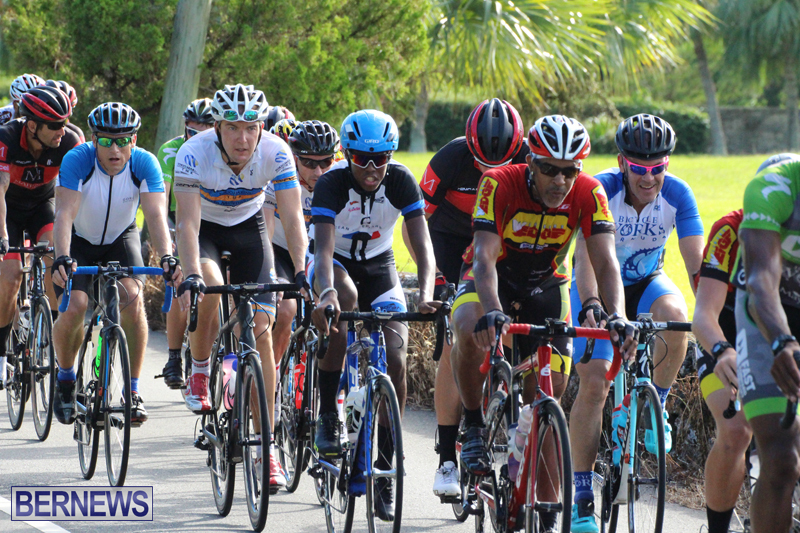 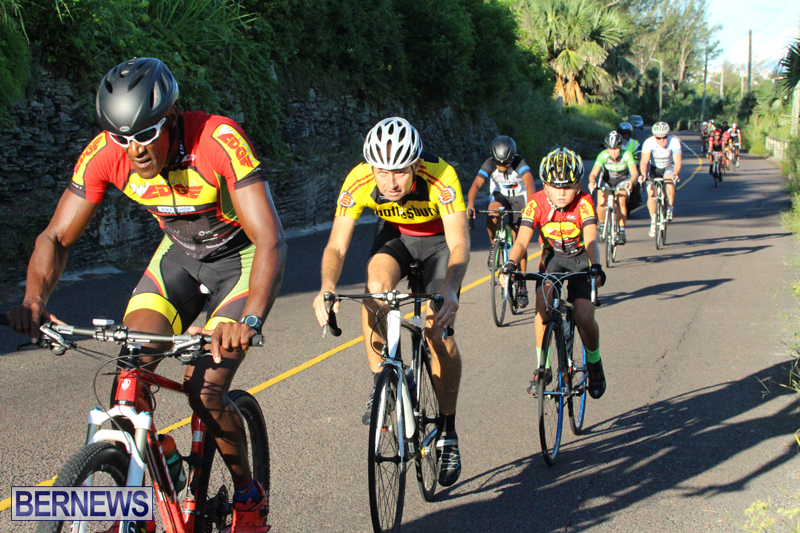 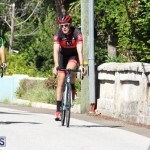 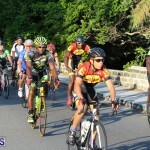 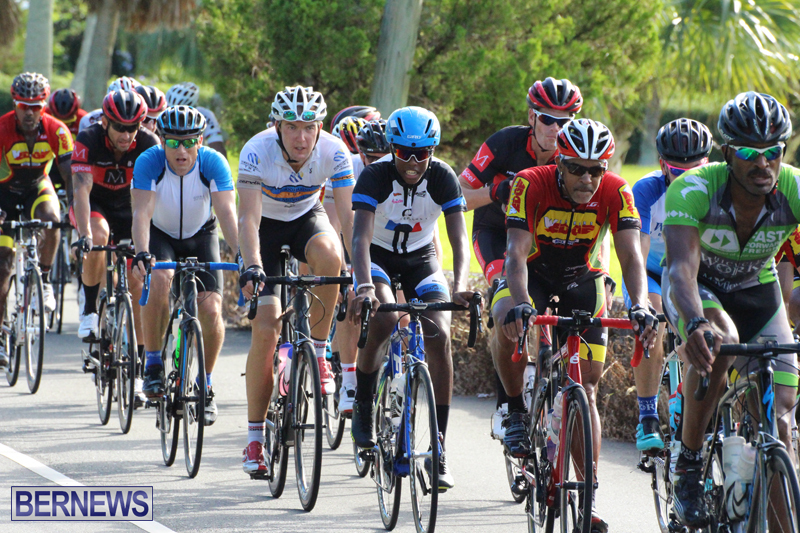 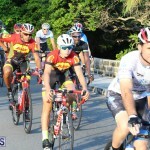 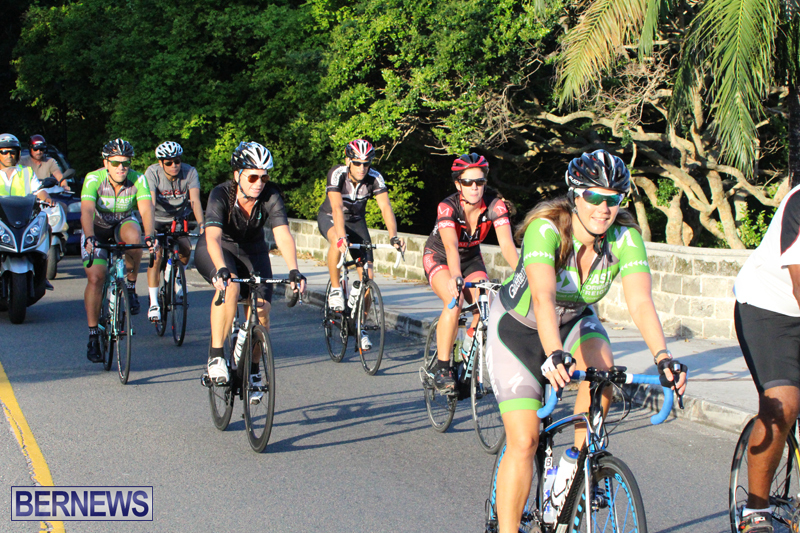 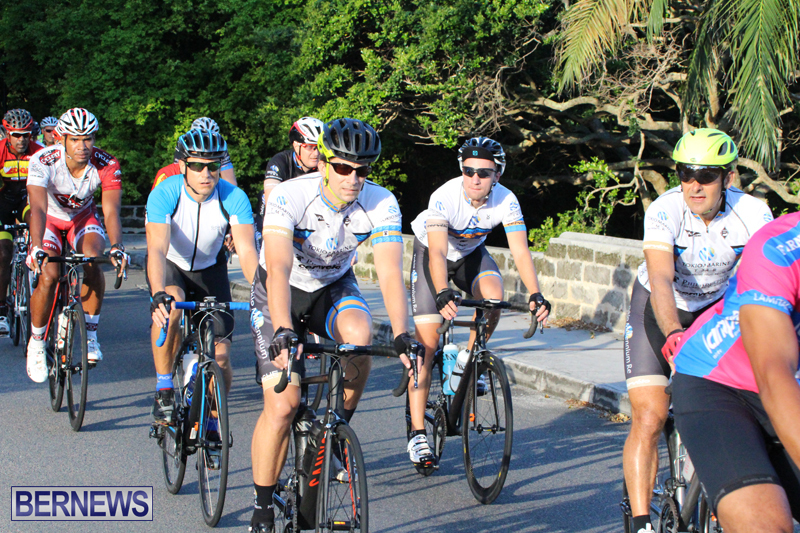 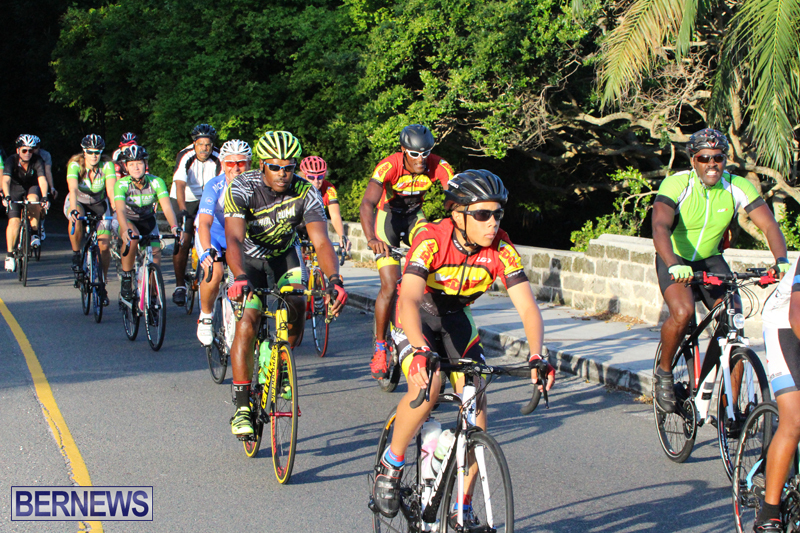 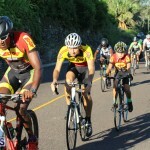 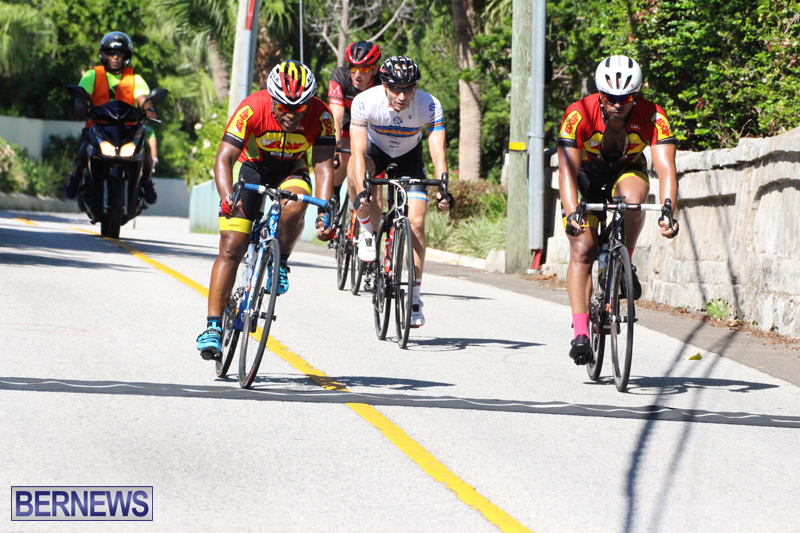 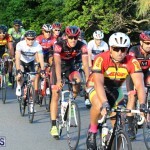 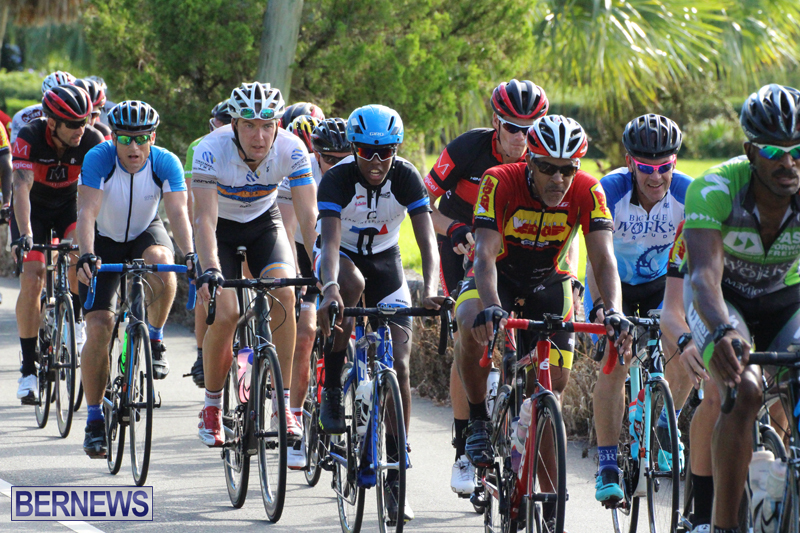 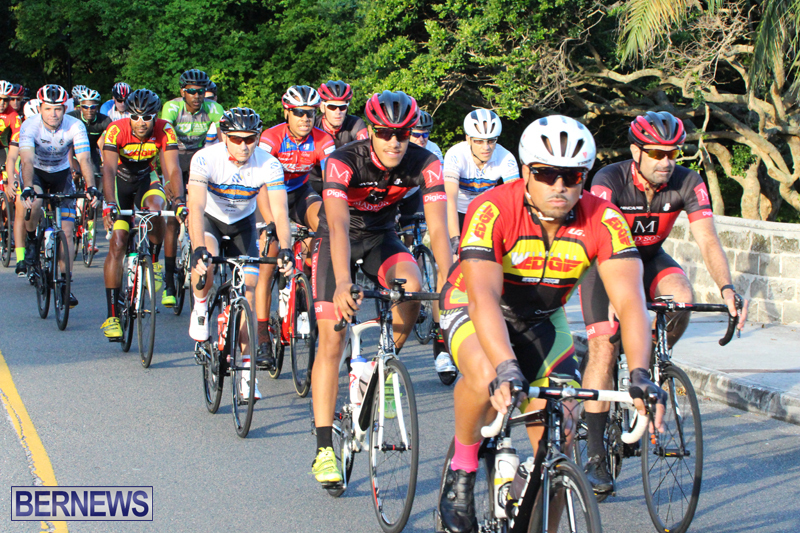 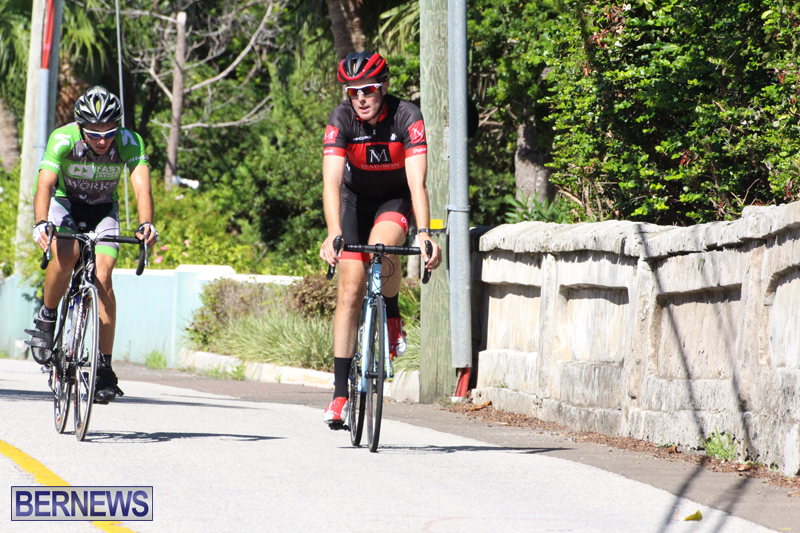 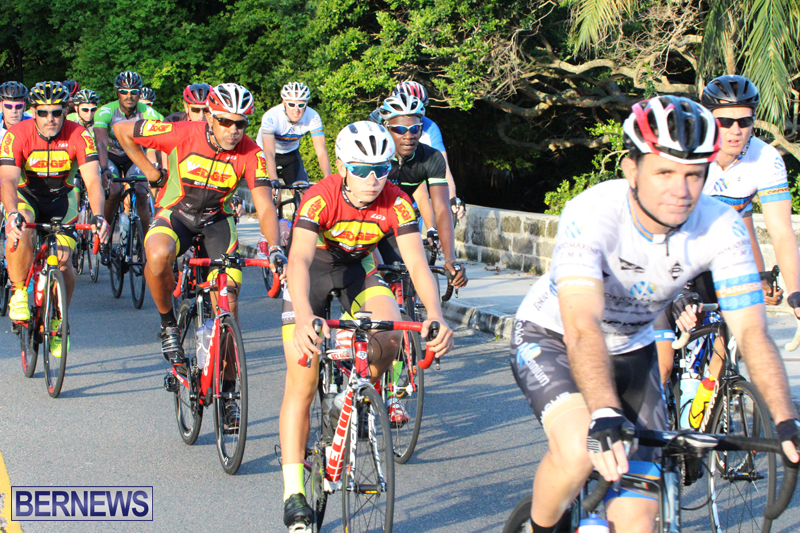 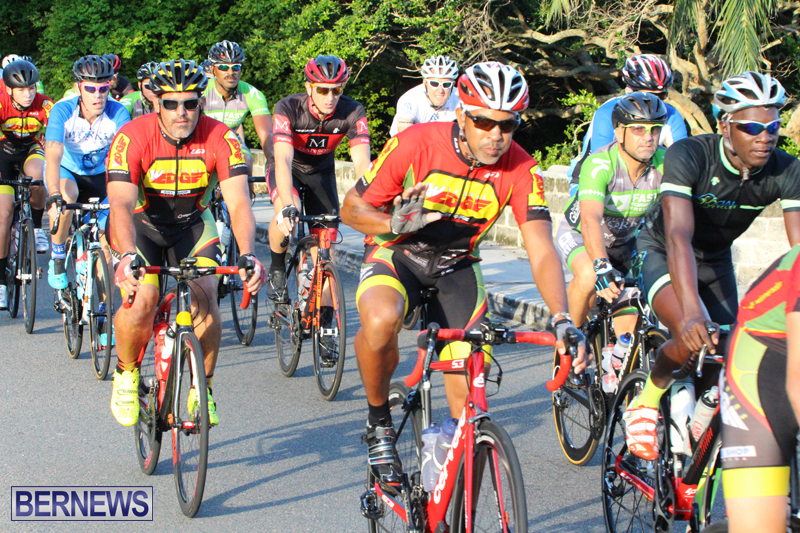 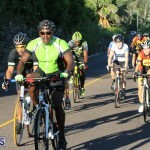 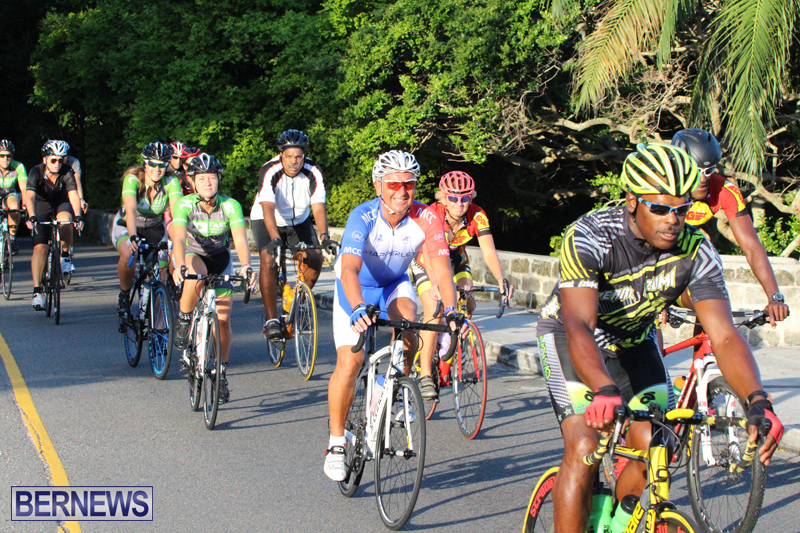 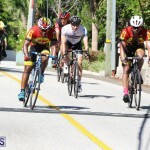 The 2015 edition of the Bermuda Bicycle Association’s [BBA] Presidents Cup was held on Sunday [Aug 23], with the course taking racers on a loop around the island that totaled 100 kilometres, the longest race on the BBA’s calendar. 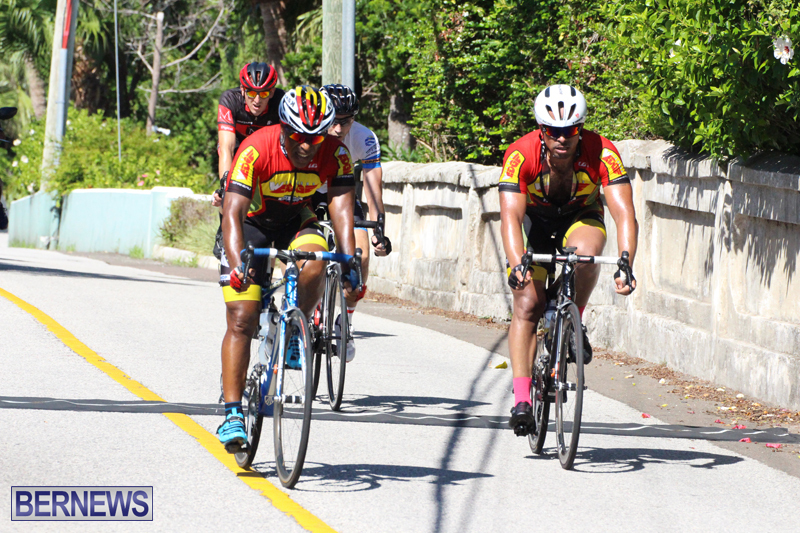 The race got set at 7.30am from Lindo’s Family Foods in Warwick, eventually finishing on Harbour Road in Paget. 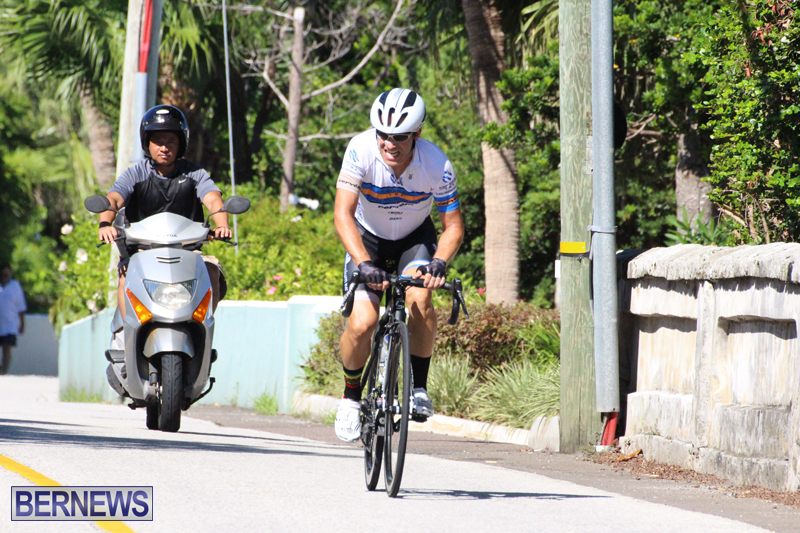 The race saw Dominique Mayho finish in first position with a time of 2:36:34:488, followed by David McComas at 2:37:05:891, Darren Glasford at 2:41:40:664, Mathew Ackland with 2:41:41:681, and Matthew Oliveira at 2:41:42:826. 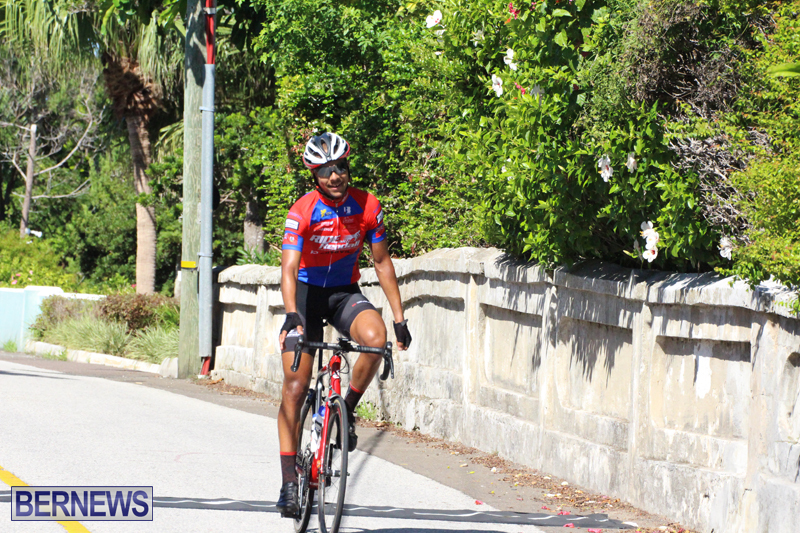 Mr. Oliveira was the top junior finisher in fifth place, while Karen Smith was the top female finished in 37th place. 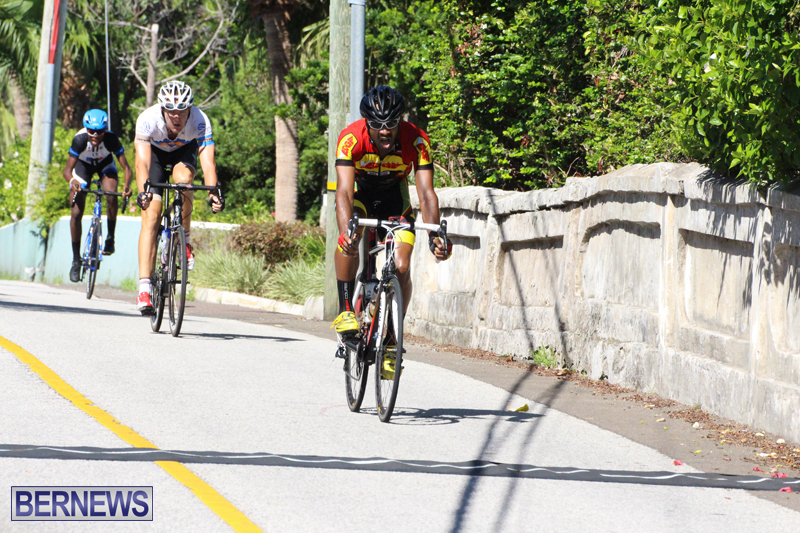 The full results are here [PDF].